Read more about the Stateside staff. Who stands to gain if Michigan moves to part-time legislature? Stateside's conversation with Matt Grossmann, an associate professor of political science at Michigan State University. Lt. Governor Brian Calley is speaking at an event this afternoon at the Mackinac Policy Conference. Many observers believe today he'll announce a ballot drive to make Michigan a part-time legislature state. Stateside's conversation with U.S. Senators Debbie Stabenow and Gary Peters. U.S. 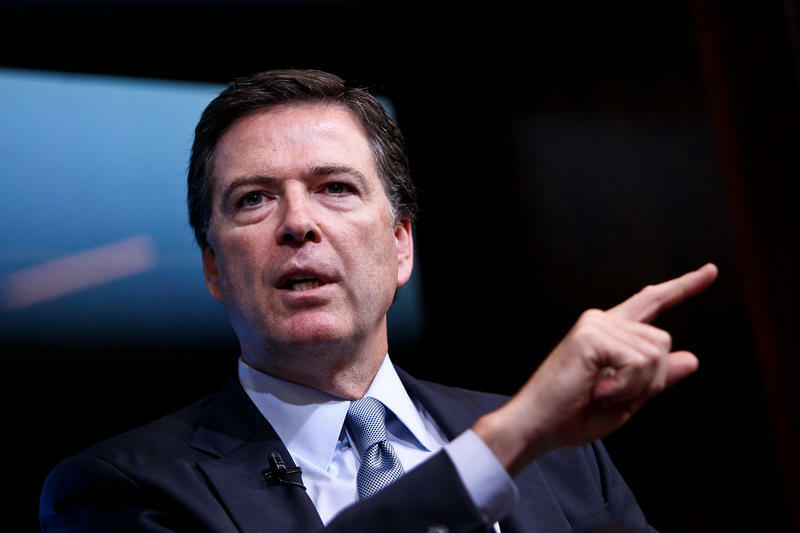 Senators Debbie Stabenow and Gary Peters joined Stateside today to react to President Donald Trump’s firing of FBI Director James Comey. Stateside's conversation with Republican Rep. Fred Upton of Michigan's 6th District. 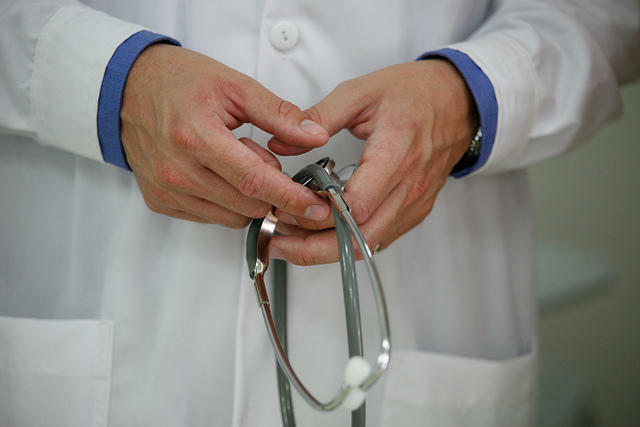 In a close vote of 217 to 213, the U.S. House of Representatives passed a new health care insurance plan this afternoon. For weeks, Republicans have struggled to gain enough votes to repeal and replace the Affordable Care Act. You can’t rebuild your home or your neighborhood without tools. But tools cost money. Here’s a solution: a community tool-sharing program. “Shovel Share” is just that, and it’s a finalist in the Knight Cities Challenge. Should the idea win, Shovel Share would create a network of tool-sharing centers around Detroit. 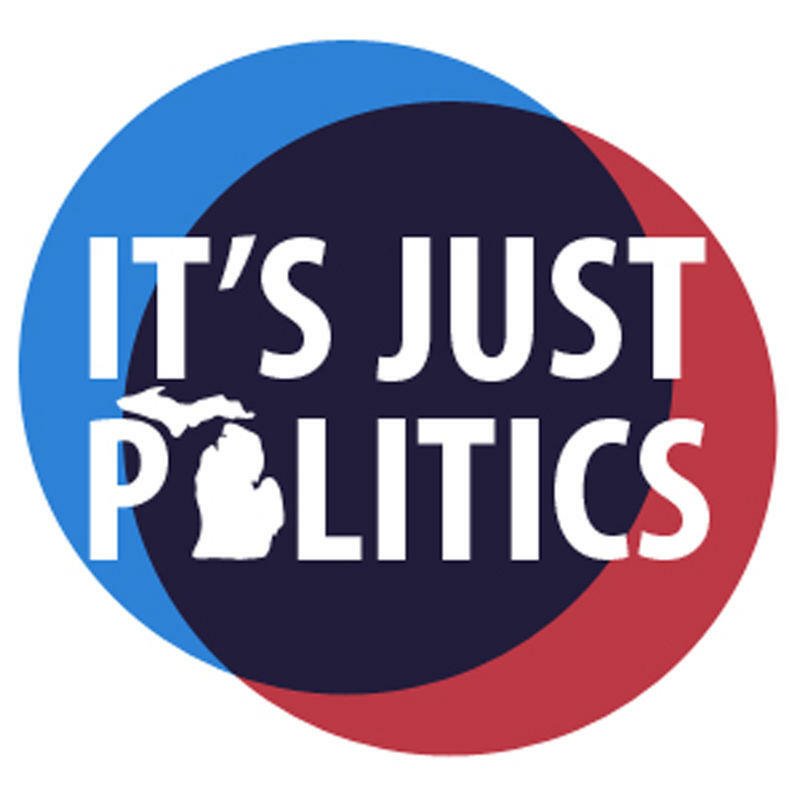 Our conversation with Zoey Clark and Rick Pluta, co-hosts of It's Just Politics on Michigan Radio. It is now a new year. With the State House and Senate adjourned until Jan. 11, it's time to get our bearings on what’s likely to be bubbling away on Lansing’s front burner this year. 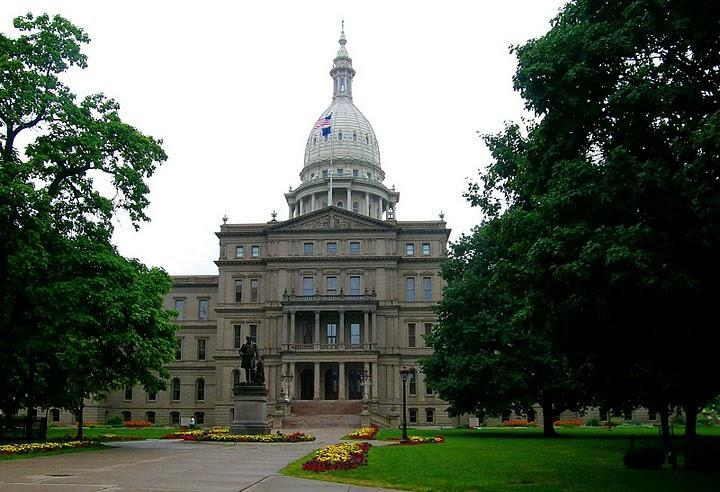 Michigan Radio’s It’s Just Politics team of Zoe Clark and Rick Pluta joined Stateside to discuss. Attorney General Bill Schuette today unveiled a new batch of criminal charges in the Flint water disaster. 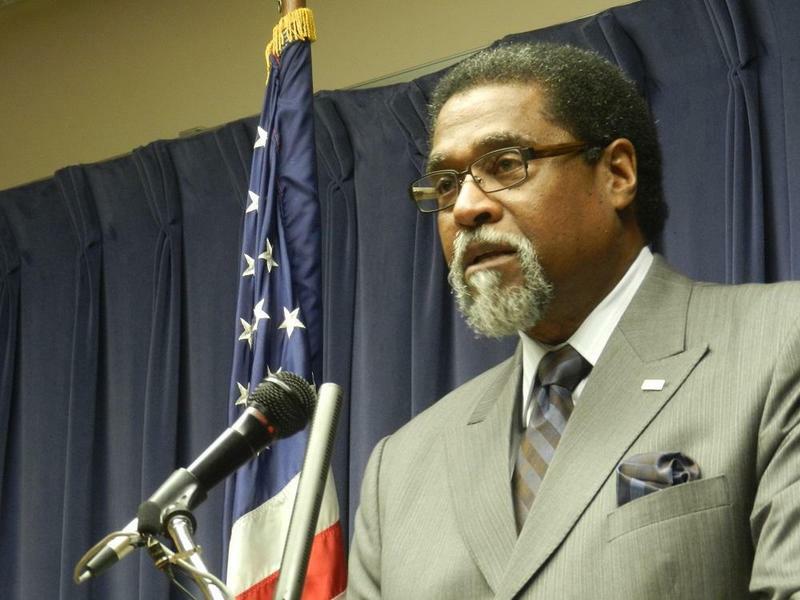 Charged today are former Flint emergency managers Darnell Earley and Gerald Ambrose, along with Howard Croft, former director of Public Works in Flint, and Daugherty Johnson, former utilities director of Flint. This brings the total number of people charged by Schuette to 13. Wayne State University Law professor and former federal prosecutor Peter Henning joined Stateside today to break down the charges. Aspirations or fears: What drove Michigan’s vote? Our conversation with It’s Just Politics team Zoe Clark and Rick Pluta. Donald Trump’s victory is seen as one of the watershed moments in American political history. Michigan voters certainly played a role in this upset. It’s Just Politics team Zoe Clark and Rick Pluta sat down with us today to dive into what happened in our state. 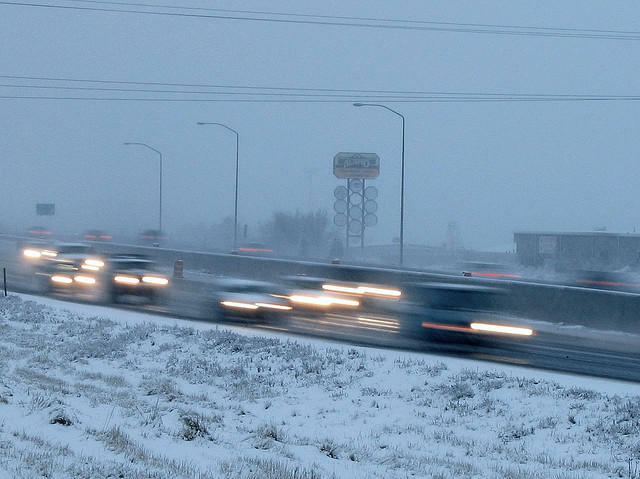 On January 9 in eastern Kalamazoo County, 193 vehicles crashed on both sides of I-94. A truck driver was killed and 22 others were sent to the hospital. Michigan State Police are still investigating the chain-reaction crashes. But the Michigan Department of Transportation blamed driver behavior and speed for the pileup. 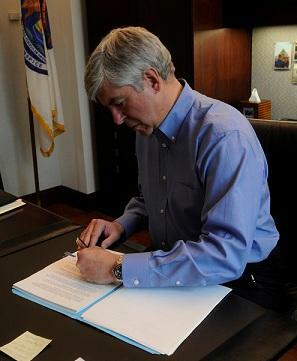 Rick Snyder wins another term as Governor and the Republicans almost run the table in statewide races. Millions and millions of dollars were spent on Election 2014, but in the end not much has changed. Rick Pluta gives us a rundown of election results from across the state and what these results mean for you. Pluta says that while this race was supposed to be one of the closest in decades, that’s not how it went. 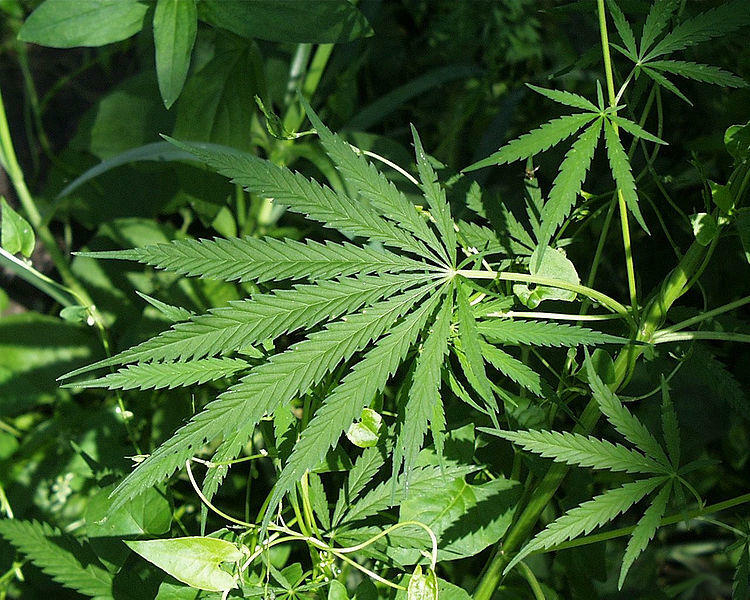 On Nov. 4, voters in 11 Michigan cities will consider legalizing small amounts of marijuana. That’s the largest number of municipalities to ever consider the question in a single election in the state. As Michigan Public Radio’s Jake Neher reports, marijuana advocates think they can win all of them. The University of Michigan Board of Regents is meeting today at 3 p.m. in Flint. It's a safe bet that one of the big issues on their agenda is the future of Michigan athletic director Dave Brandon. Michigan Radio sports commentator John U. Bacon says it's "90% clear where this is going to be headed." Brandon and U-M Coach Brady Hoke came under fire when sophomore quarterback Shane Morris was allowed to play after he was injured in last month's game against Minnesota. Morris was later diagnosed with a concussion. Bacon says the regents will have influence over a decision on Brandon, but it's U of M President Mark Schlissel who will have the final say. Schlissel turned up at football practice a week ago; Bacon says that rarely happens. It shows the issue is on the president's radar, and Schlissel is known for his emphasis on student experience – including the experience of student athletes. Michigan has a serious labor shortage in home construction which will slow the pace of new home building for at least the next six years. Usually some 28,000 new homes are built each year in Michigan. This past year, there were just 13,000. Bob Filka, CEO of the Homebuilders Association of Michigan, says this is in part because of a workforce shortage. 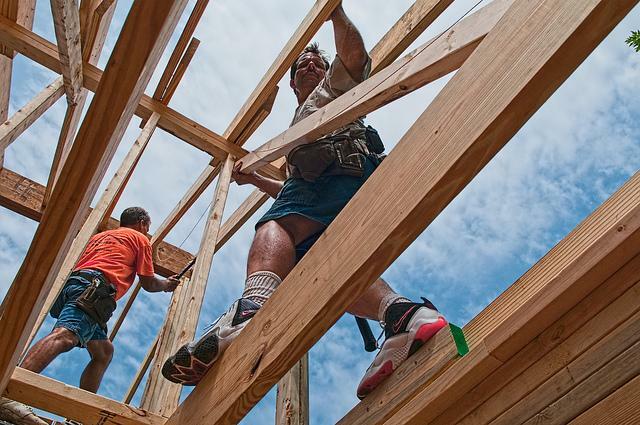 That shortage of labor include framers, carpenters, plumbers, and electricians. According to Filka, Michigan lost approximately 60,000 workers in the industry during the downturn. They left the state, retired, or changed careers, and many of them are not coming back to the job in the sector. This week marks four years since a pipeline operated by Enbridge Energy burst. It was a segment of Line 6B located just downstream from the pump station in Marshall. The result? 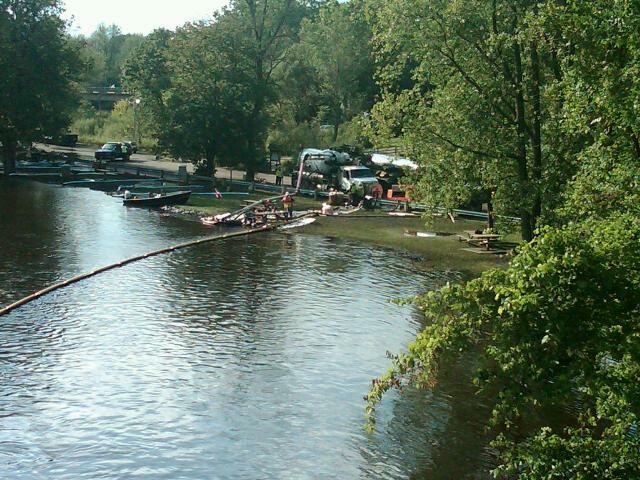 More than 1,000,000 gallons of oil have been recovered from Talmadge Creek and the Kalamazoo River. Michigan Radio's West Michigan reporter Lindsey Smith and The Environment Report’s Rebecca Williams joined Stateside to talk about the effects of the spill four years later. The spill affected about 40 miles of the Kalamazoo River, from Marshall downstream close to Kalamazoo. The bulk of the oil has been cleaned up. Smith said the river is still useable; you can swim, fish, and do other things that you could do before the spill. However, cleanup is still going on. The EPA is dredging Morrow Lake this summer and there are still areas of the river that are closed. Williams said there might always be some oil left in the area. “What agencies here in Michigan have said is that you often don’t want to take all the oil out of sensitive habitats because you could end up doing more damage,” Williams said. Smith said the dredging process can be very invasive and hurt a lot of habitats. After the ordered dredging is over, there will be more passive collection, that won’t be as harsh on the environment. In a story we aired yesterday on European prisons, we learned the apparent key to reducing recidivism. In Europe, keeping family ties intact is priceless. There’s a juvenile justice plan in Berrien County that’s been applying these principles since 2001, strengthening family ties, and keeping young offenders out of jail when possible. And their approach is paying off. Elvin Gonzalez is the family Division Administrator for the Berrien County Trial Court. He said that when looking at the youth who come into to court to look at their family system. “Many of the factors that contributed to them being logged with delinquency came from two primary domains, their family domain and their school domain,” Gonzalez said. Gonzalez said that it was important to address both of those domains and provide interventions that target those areas, strengthen the families’ ability to supervise, effectively monitor and discipline, and support their children. “Our belief is, is that kids live in an ecology. That ecology is their family system, their neighborhood, their community, their school and we needed to impact those areas to help youth be successful in our communities," Gonzalez said. Gonzalez added that while they are trying to fix the source of the youth’s actions, accountability for those actions are not forgotten. The county has seen a lot of success with their programs. 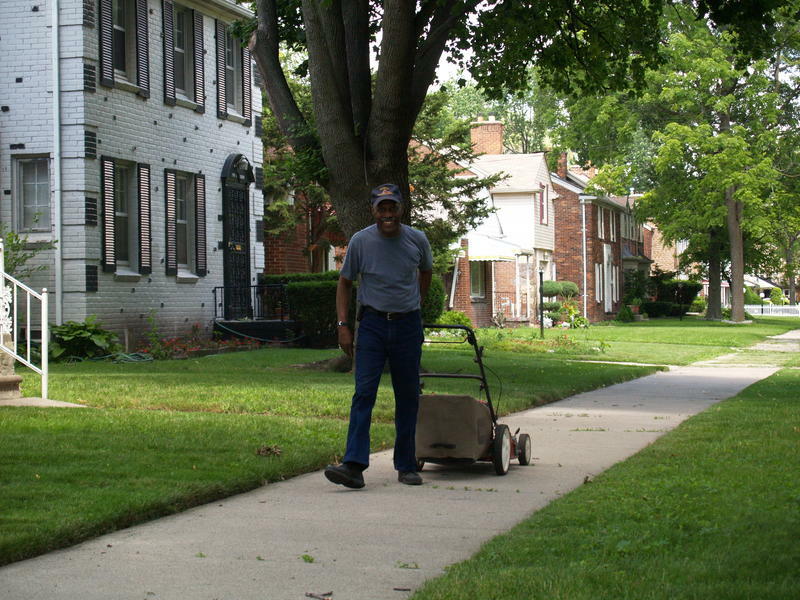 In 2001, more than 125 youths were in out-of-home residential placements throughout Michigan. Today, that number has dropped to about 40 youths. Recidivism has dropped from more than 58% in 1998 to 17.5% in 2012. “It’s important that we help kids learn various skills, be more effective in managing conflict, make better decisions – but ultimately, at the end of the day, we need to move the needle on recidivism,” Gonzalez said. *Listen to full interview above.